The NCUL office will be closed November 22nd and 23rd to allow our staff to spend time with their families. The office will be open again on Monday, November 26th. Enterprise Car Sales is the perfect partner to assist area credit unions with good quality loan volume. Every car offered for sale has the following features: No Haggle Pricing; a 109 point Vehicle Certification; a 7-Day Repurchase Agreement; a 12 month 12,000 mile limited power train warranty; 12 month road side assistance; a free CARFAX Report; and Trade ins are always welcomed. The cars provided for sale are hand selected from the thousands of great cars that Enterprise has in their rental fleets. Each car is meticulously maintained and bestows borrowers with pleasant peace of mind on their purchase. 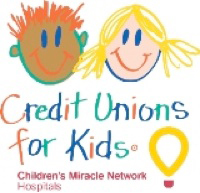 The CMN Letters from Santa campaign is coming to an end. Members should be turning in their forms to all participating credit unions by the end of next week. Spreadsheets are due to the League by November 27th. All letters will be mailed to children on December 7th. The Nebraska Credit Union League has partnered with the Kansas Credit Union Association to offer Councils to Nebraska credit unions. Plan now to attend the upcoming Introduction to Councils webinar scheduled for Wednesday, December 5 and learn the benefits of council membership and how you can make the most of the networking, resources and education opportunities available to council members. As the prospects for more robust interest rates, improved loan volume and an easing of regulatory scrutiny remain uncertain going into the New Year, credit unions continue to face the dilemma of how to improve margins, maintain compliance and provide services that will keep them competitive. The newest “branch” of Liberty First Credit Union will open its doors for the first time Thursday, November 8, 2012 and will host a ribbon cutting on Monday, November 5th at 1:45 pm. Nebraska Lieutenant Governor Rick Sheehy, Director of the State of Nebraska Department of Banking and Finance John Munn, LPS Superintendent Dr. Steve Joel, CEO/President of Liberty First Credit Union Ken Bradshaw and UNL Center Director for Nebraska Council on Economic Education Tammie Fischer will all be on hand to say a few words during the Ribbon Cutting. Business will be limited to savings deposits. The upper end of total projected assessments associated with the Temporary Corporate Credit Union Stabilization Fund (Stabilization Fund) declined between December 2011 and June 2012.The upper end of total projected assessments associated with the Temporary Corporate Credit Union Stabilization Fund (Stabilization Fund) declined between December 2011 and June 2012.